The Rams’ throwbacks are easily their best uniform combo. 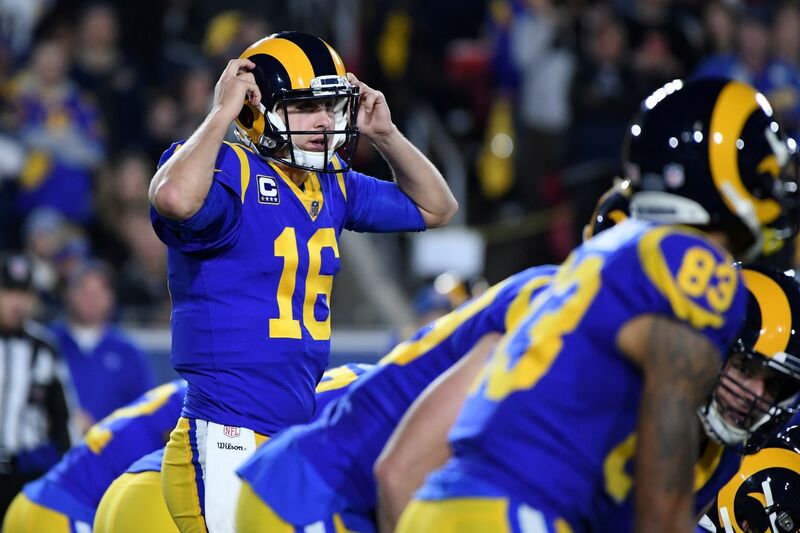 The Los Angeles Rams are in a bit of an awkward transition between the gold and navy uniform they wore in St. Louis and an upcoming uniform change. The temporary solution has been to wear their blue and yellow throwbacks for the majority of their home games. That’s a good call, because they’re definitely the best uniform combo the Rams have. That was a popular choice among Rams fans who mostly favor the throwbacks. The alternative is the fauxback uniform that combines the blue and white the team wore in the late 1960s with the gold of recent decades. 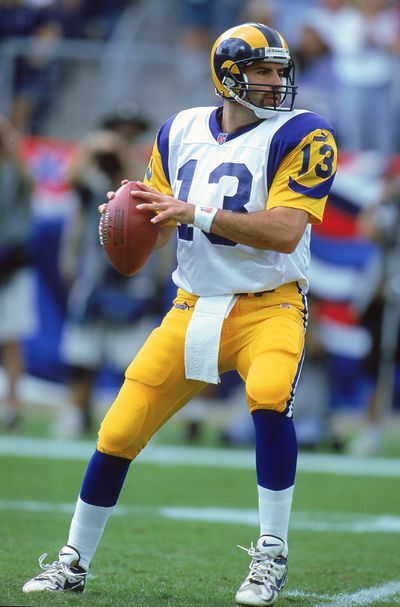 The Rams wore blue and yellow from 1973 until they switched to gold in 2000. Their final season in blue and yellow ended with a win in Super Bowl 34 — the team’s only Super Bowl victory — although the Rams were wearing white jerseys with blue and yellow trim in that win over the Titans. The Rams decided in 2017 that their gold jerseys would be retired. But the league’s rules require an application for a uniform to be submitted two years in advance, and the team wanted new uniforms to coincide with the open of their new stadium, scheduled to open in 2020. Until then, the Rams’ best choice is the throwback uniform combo. And that’ll be the choice when the team takes on the New England Patriots in Atlanta.